A2 not credited on label. The original version of Fire (before Demolition Man's vocals were added) was to be called 'Natural High'. Hype used to rinse this back in 94. Fire is a surefire jungle classic, no doubt. Very fast paced, in 94 most jungle was played at 165-170bpm, but this release is much faster than that, up to 175bpm. Great release. 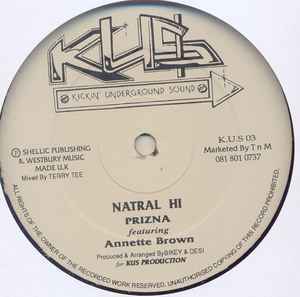 I have same as SpraggaHatchet, green labels, also track AA spelt NATRAL HI. My one gots a green label. Same design and ID.